Egypt’s massive protests: Hosni Mubarak predicted the country’s current chaos because he designed it to fail without him. The former dictator predicted Egypt’s descent into chaos—because he planned it. Mubarak’s prediction of the chaos to come wasn’t simply some astute piece of political analysis—it was a promise. 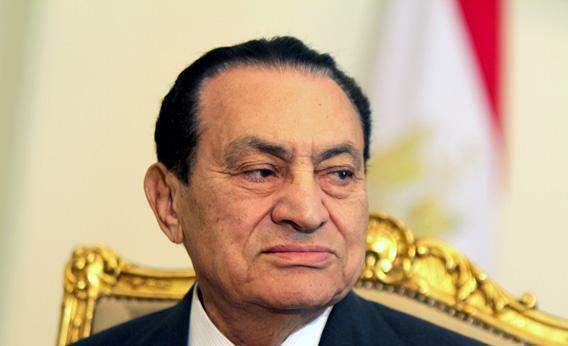 Mubarak was the primary author of the stunted and underdeveloped politics that Egyptians inherited two years ago, when they overthrew Mubarak’s regime. In his three decades in power, political institutions shrank more than they grew. He (and Anwar Sadat before him) refused to let genuine political parties spring up. Civil society and independent NGOs were caged birds whose wings were easily clipped. The only organization that flourished under his watch (besides the Egyptian military) was the Muslim Brotherhood—because the threat of Islamists running Egypt was a necessary ingredient of his combustible formula for making himself indispensable. That was on full display at his ruling party’s annual conference in 2009. Egyptian delegates were there to hear their president give his address. Just before the aging autocrat rose to take the podium, the assembled were directed to watch a short film. What they saw was a montage of violence from cities across the region—the Molotov cocktails, machine-gun fire, and chaotic street fighting that had become synonymous with Middle East instability. The message was a familiar one: Without Mubarak, these scenes wouldn’t just be of foreign capitals; they would happen in Cairo. And it turns out Mubarak wasn’t bluffing: The risks were real. Violent street clashes are no longer something foreign. Egypt is now living that alternative history. The parallels came into sharp relief in the last week. When thousands of Egyptians filled the streets in protest, Morsi quickly turned to emergency law, granting the police extralegal powers to clear the streets. In addition, the military is now empowered to make its own arrests, and military trials of civilians—one of many holdovers from Mubarak’s authoritarian rule—continue. Nonetheless, as the authorities tried to clamp down on protesters, their numbers soared. (Two years ago, protesters burned the offices of the ruling party; now they target the offices of the Muslim Brotherhood.) When Morsi took to the national airwaves to demand that people fall into line, the public mocked him. Was Mohammed Morsi asleep during the revolution? Because since he entered office—and particularly during this current bout of turmoil—he has been following a playbook that he should know ends badly. On Thursday, the head of al-Azhar university and mosque called together feuding politicians from Morsi’s camp and the opposition to renounce the violence and try to bring a pause to the country’s political freefall. Regardless, seven months into his presidency Morsi appears more isolated and enfeebled than when he began. As Egyptians returned to the streets on Friday, Morsi knows that the Egyptian military will be watching closely, calculating when it may be necessary to step in and provide the stability that the country’s civilian government cannot. The difference from two years ago is that the people’s tolerance for revolutionary chaos may have worn thin. Many of the people who once marked a ballot for the Muslim Brotherhood candidate may now be ready to accept a leader who can keep the peace. That’s likely to be a general who trades his military uniform for a smart suit and tie. As a former military man himself, Mubarak could understand the appeal of that.